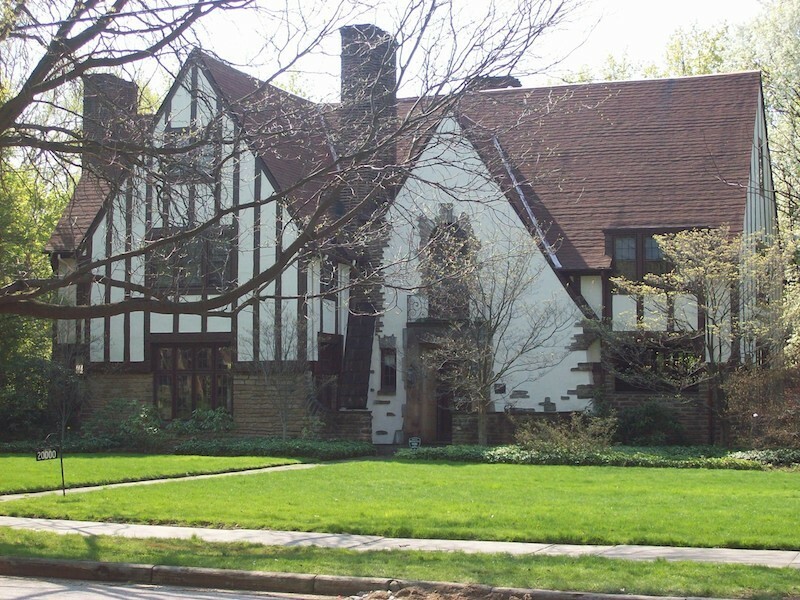 The 1920s witnessed a time of explosive growth and expansion in Shaker Heights. With the opening of the rapid transit system between Cleveland and the suburb at the beginning of the decade, the population grew from less than 2,000 to over 15,000 by 1929. 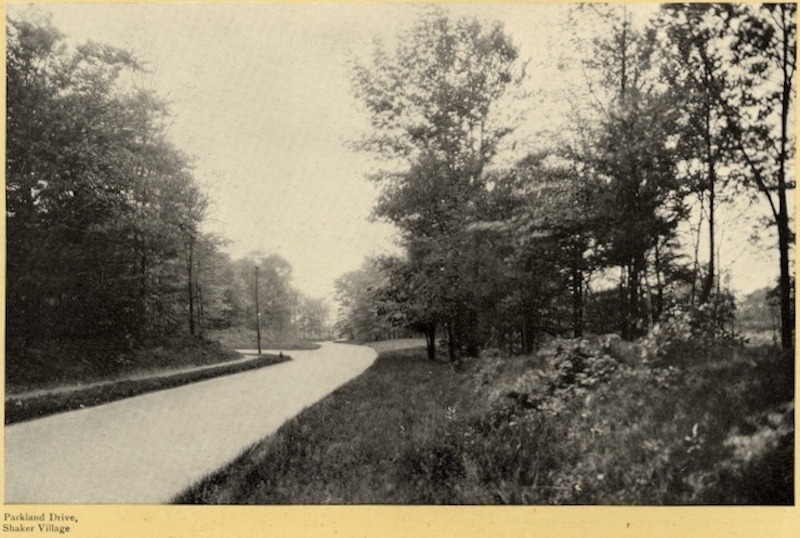 As the transit system expanded, leading further into the planned community, the Van Sweringen Co. promoted the sale of the newly accessible lands in part through the construction of demonstration homes. 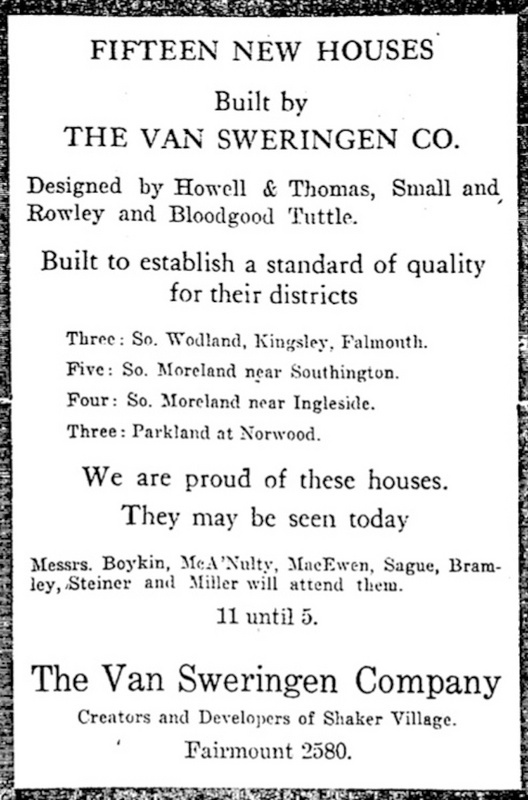 Employing renowned local architects to create designs and oversee development, the Van Sweringen Co. constructed a series of homes in areas that were to be opened for public sale. 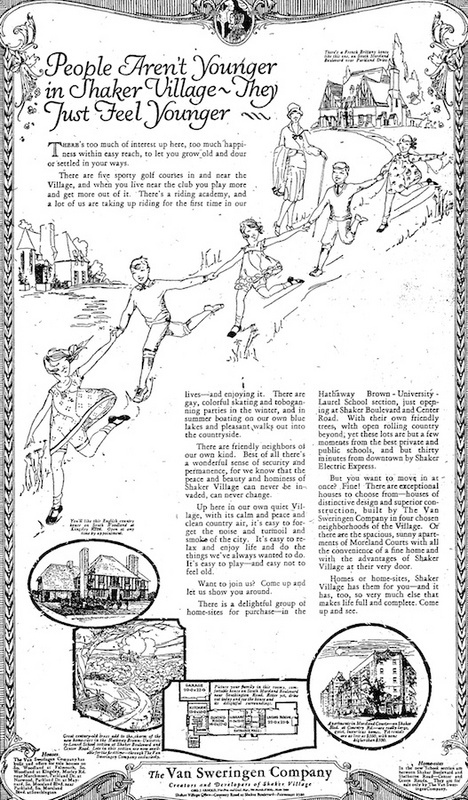 These homes not only acted as examples of the desired character and quality of structures required by the Vans, but offered those interested in purchasing land an image of the exclusive community's possibilities. 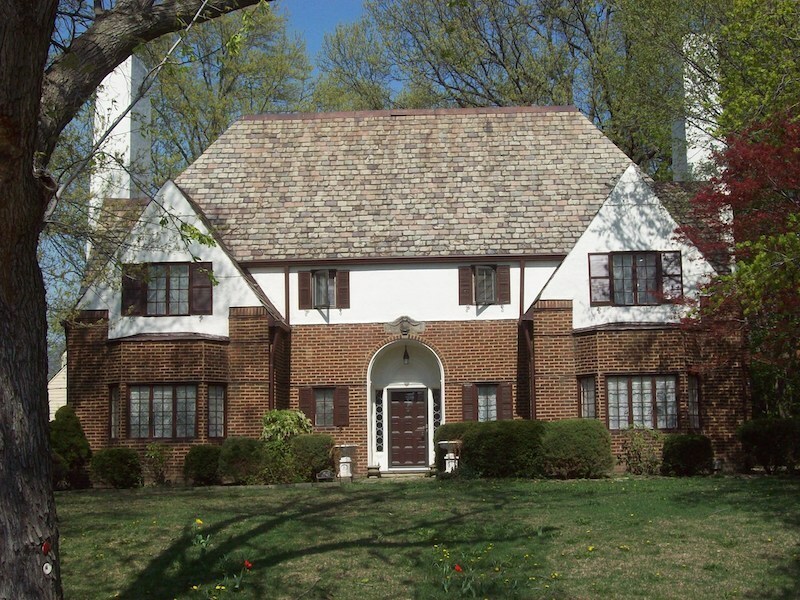 Both small and large groupings of demonstration homes were constructed on Parkland Drive, Moreland Boulevard (now Van Aken), Courtland Boulevard, and South Woodland in the early 1920s. 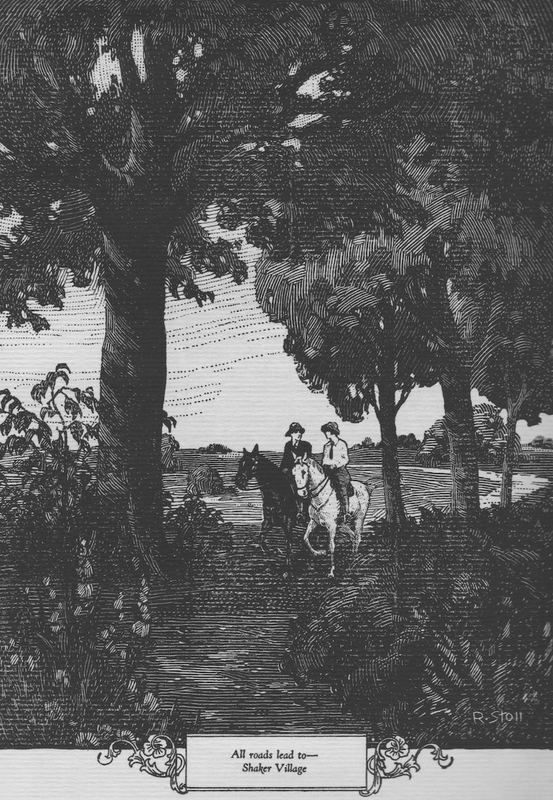 Reflecting the guidelines presented to prospective clients by the Van Sweringen Co. in "Shaker Village Standards", the structures were to define the character of the residential neighborhoods and promote the sale of surrounding lots. 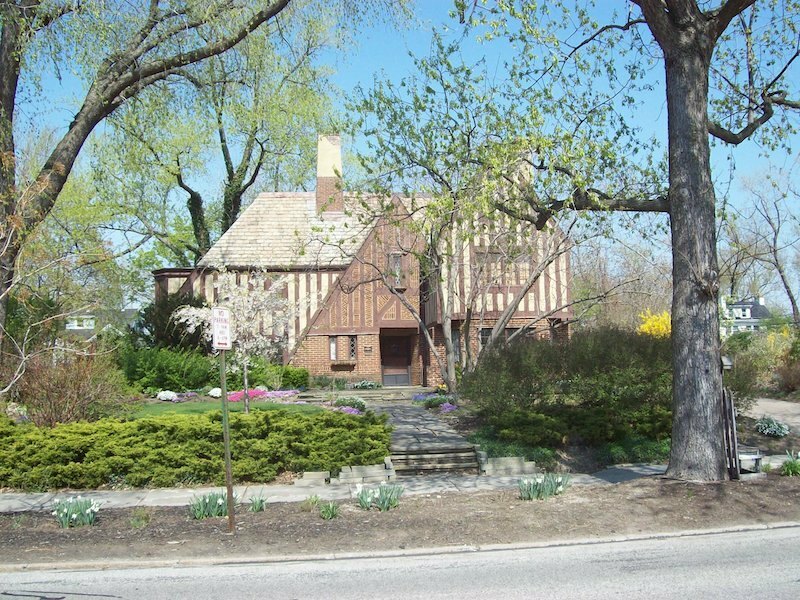 As prescribed by the Van Sweringens for all Shaker residences, the demonstration homes were designed by prominent architects such as Phillip Small, Howell & Thomas, and Bloodgood Tuttle. The architects' designs for these demonstration homes spoke to the qualities and character of residential construction desired by the Vans. 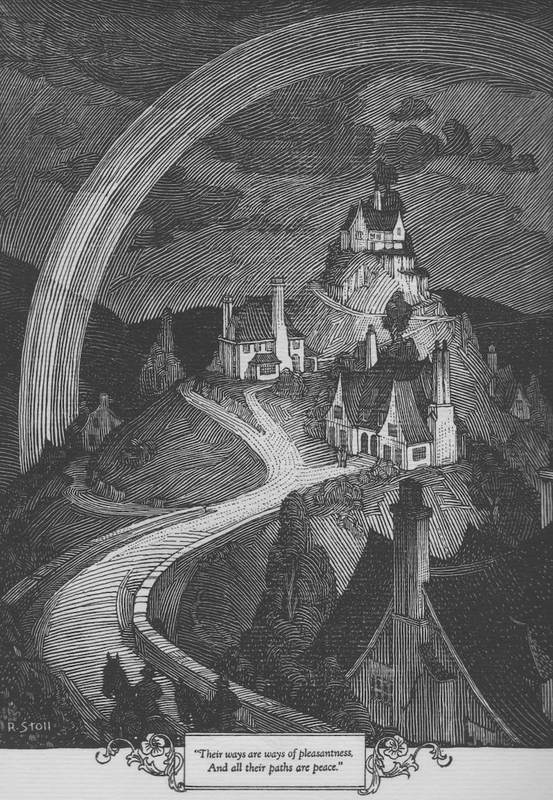 Each home was architecturally distinct, but also built in harmony with both surrounding structures and the natural environment. 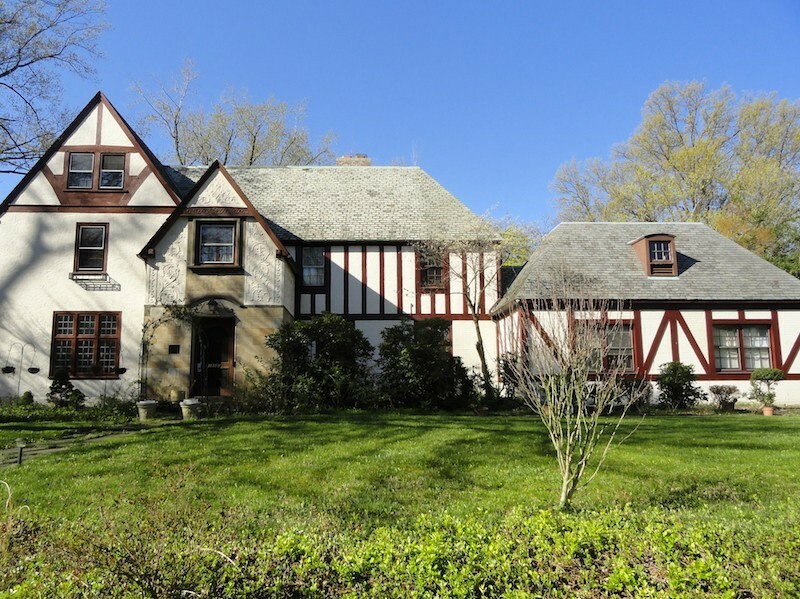 Designs for the demonstration homes employed the three recommended architectural styles for Shaker residences: English, French, and Colonial. The sturdy yet picturesque homes offered visions of permanence within the highly landscaped rural setting. 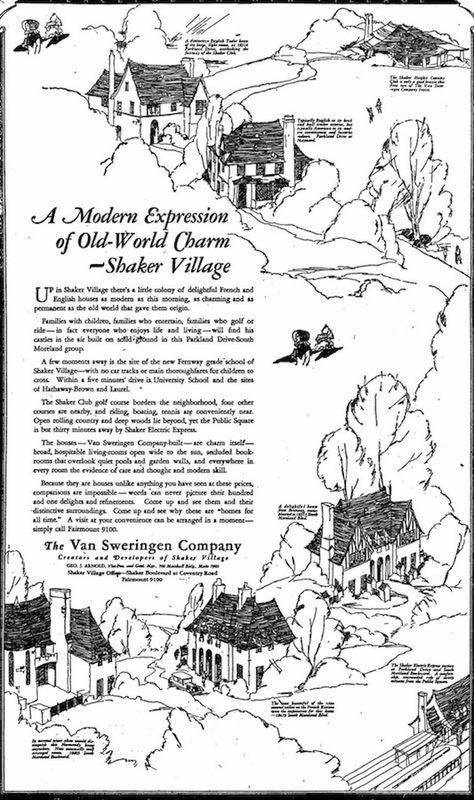 These demonstration homes were a symbol of the dignified, enduring community that the Van Sweringen Co. desired to create and market. 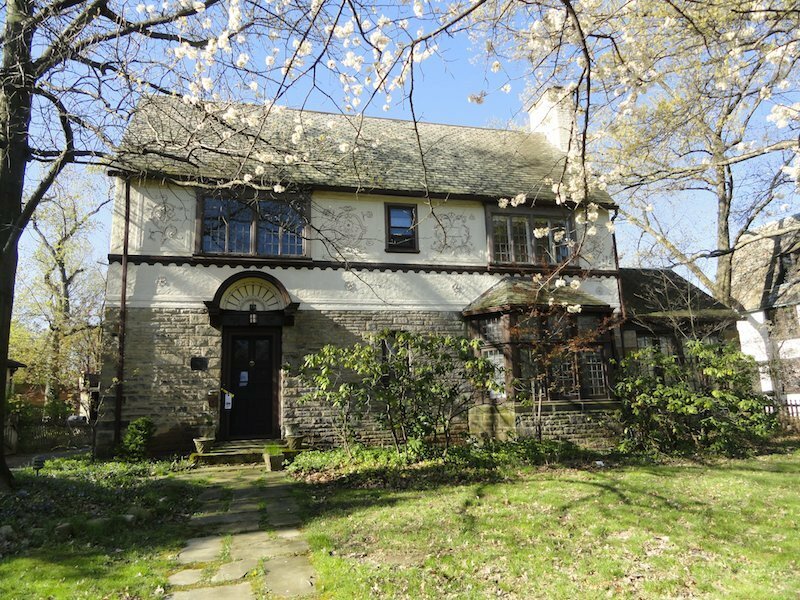 Such homes provided the foundation from which the cosmopolitan residential neighborhood grew. 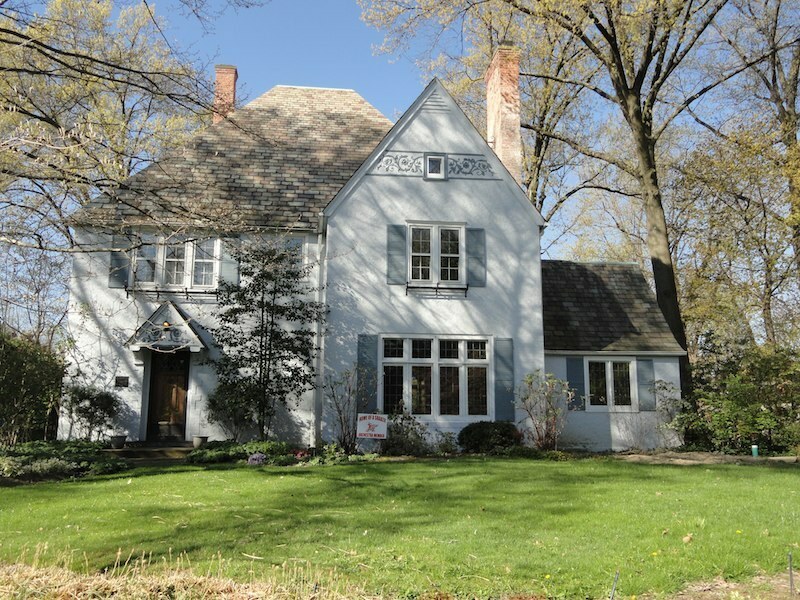 Richard Raponi, “Van Sweringen Demonstration Homes,” Cleveland Historical, accessed April 23, 2019, https://clevelandhistorical.org/items/show/406. Published on Feb 5, 2012. Last updated on Apr 18, 2017.